The latest news, articles and reviews for the Building Automation Industry. February news releases now on line. Special AHR Show Preview for Automation Exhibitors to show featured products and provide news releases. 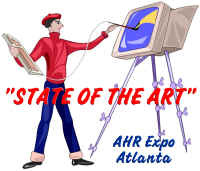 More information on the Sessions at AHR Expo. Our contributing editors have provided excellent articles for our special show issue. In addition to the above article, Tom Hartman is providing two presentations at the ASHRAE Winter Meeting in Atlanta. I am excited about my presentation with Dave Branson at the Expo. The Head Retread article provides insight into our direction. There is still time to share your thoughts with us on what you think the "State of the Art" is, email me your observations. All exhibitors and automation stakeholders are invited to provide input for these Expo sessions for 2002 and beyond. Come out Wednesday, January 31st 9:15am to An Open Forum for Automation and the Future. 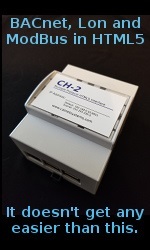 Cimetrics is a leading provider of embedded network control hardware, software and consulting services. Computer Integrated Building Operations CIBO the next generation in building automation systems. Delta Controls Inc a leading manufacturer of high quality building automation systems (BAS). Our March 2001 issue theme will be "Control Without Wires". We will explore the "Wonderful World of Wireless" and how close it really is. Please help me with your wireless articles and products. AutomatedBuildings.com's purpose is to connect our readers with timely and new information on any Buildings Automation subject, so as always we are interested in any of your articles, news, new products. We are running a Special AHR Show Preview January 2001 issue with an update January 15th. This presents an excellent opportunity to preview your products and concepts so our readers can visit your booth with some insight. If you are not able to be at the show this also offers an opportunity to reach that market virtually. Check out the articles by our Contributing Editors Thomas Hartman, John J "Jack" Mc Gowan, Leonard A. Damiano and Me. Be sure to check out this month's articles, new products and January's news releases. Our Reader Profile outlines who reads AutomatedBuildings.com. Previous Favorites is where we add the article most viewed in the previous issues. DDC Networks:...is the question really: BACnet� or LonWorks�? Are Automated Buildings Converging or Colliding with the Internet? - July/August issue favorite was Tom Hartman's great article prepared for our official launch. This is not just a spectator sport, please send your articles, new releases and new product information to us. Click here to see article format. The REAL Costs of Poor Indoor Air Quality "Most feel that "lightning" will always strike someone else;" Len Damiano, EBTRON, Inc.
Convergence of Industrial and Commercial Control - The Industrial Controls Industry has had the reality of extremely large projects/budgets, critical control applications and a myriad of control components interfaces from separate manufacturers. These realities allowed the industry to develop powerful software applications built with soft interfaces like DDE, OPC, SCADA, etc. The cost and sophistication of industrial control was not practical for use in the extremely competitive Building Automation Industry. Fire Detection & Safety Systems - The European Market 2000-2005 AutomatedBuildings.com mission has become to provide you connections to related building automation information that maybe useful to you. The ProPlan web site is one of these sites. Their latest report is highlighted below but visit their web site for many more. ProPlan will attend the AHR Expo, to launch the second edition of the North American study (two years from the launch of the first).